Here’s the November/December 2016 NECO GCE Official Timetable, you can check out the schedules and the days and exact time of each papers. We would love to notify all those, who are not aware, that the 2016 NECO Nov/Dec GCE Timetable has been released online today, by the registration board to all interested candidates. Monday 27th Oct. To Thursday, 30th Oct.
All candidates sitting for the 2016 NECO / GCE examination should read the following instructions carefully! 1. Take note that the venues for both the Oral French and Arabic will be announced later. 2. 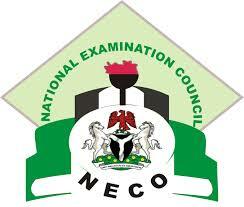 All candidates should make sure, that they confirm the specific venues for the Shorthand examination from NECO State Office where they are sitting for the examination. 3. Also be informed that the Nigerian languages (that is) Hausa, Igbo and Yoruba include the Literature aspect. 4. NECO board has made it crystal clear that it’s prohibited and banned the possession of GSM in Examination Hall. 5. Disabled candidates, including the BLIND candidates who Registered for the 2016 neco exams, are required to sit for the examination in their own Neco states Office ONLY! 6. The Neco board also made it clear, that the ALBINOS and blind candidates should be given an extra 15 minutes in ALL subjects! Please share this information with your friends on google+, twitter and Facebook, using the share buttons below. Sir, Ma you need to see for yourself what have been going on at mainland’s centre, well I will not blame them, I will blame the neco body for their incompetence; merging 24 centres together, why won’t there be exam malpractice? Why won’t there be special centres? To worsen everything neco officials; if they were present at all, came around to play. I just hope the innocent ones will not suffer what the guilty should suffer. Redeeming image is not by mass failure, it’s standing for what is right. It will be unjustified of neco if the “righteous suffer the lot of the unrighteous” and if those tyrants, hungry men, in disguise as teachers are not brought to book.